Do you like to run? Have you ever wanted to train for a longer race, but were afraid to start? Or are you an experienced runner who can offer advice to a beginner and enjoys being part of a group? 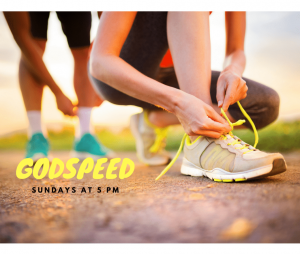 Then join us for Godspeed.